Lo and I have a tradition that we have a Christmas dinner every year with our friends, Andrea and Denise, and the hubbies. 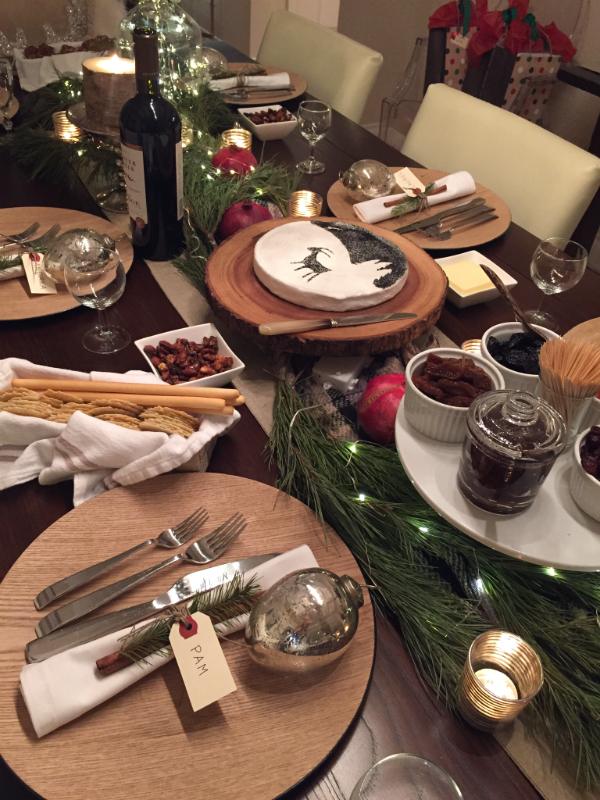 This year we decided to have a French dinner catered in my home by Sue Wiebe of Liade Cuisine. She totally customized a menu for us and accommodated that I wanted to start with a cheese course that I would prepare. In the fall, we met Jason from Mt. Lehman Cheese Co. when we were searching for local cheese makers for the Paris Pop-Up. 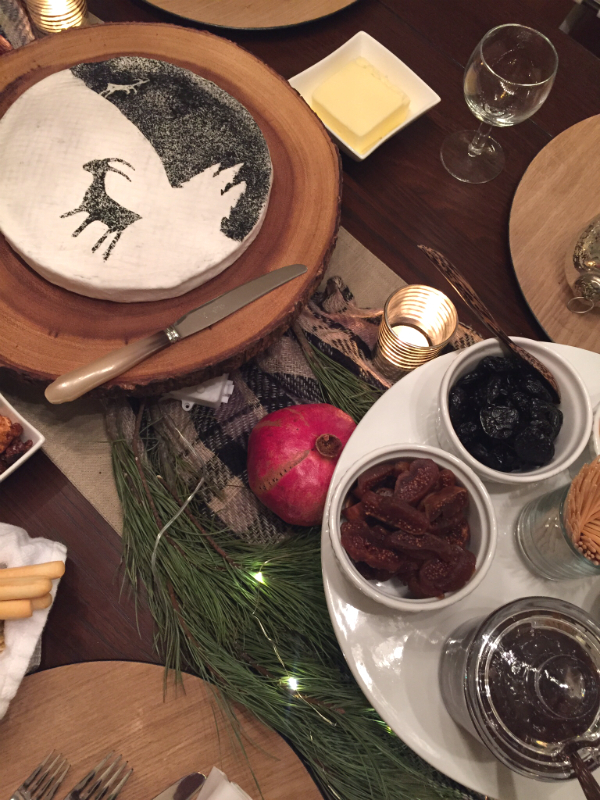 We couldn’t get enough of his frisky ash…a creamy and mild brie-like goat cheese with a layer of black ash under the rind and a stag design on top. Jason told me that he was taking special orders for large wheels of frisky ash for Christmas so I put my order in. When we were planning the dinner, I knew that this cheese would make the perfect first course…as well as be the centre piece of the table! She’s a beauty! Baguette from Duft & Co. These spiced nuts are seriously addictive. I had to package up a “no-touch” container to make sure I’d have some left for the dinner! They would actually make a great hostess gift packaged up in a cute glass jar. 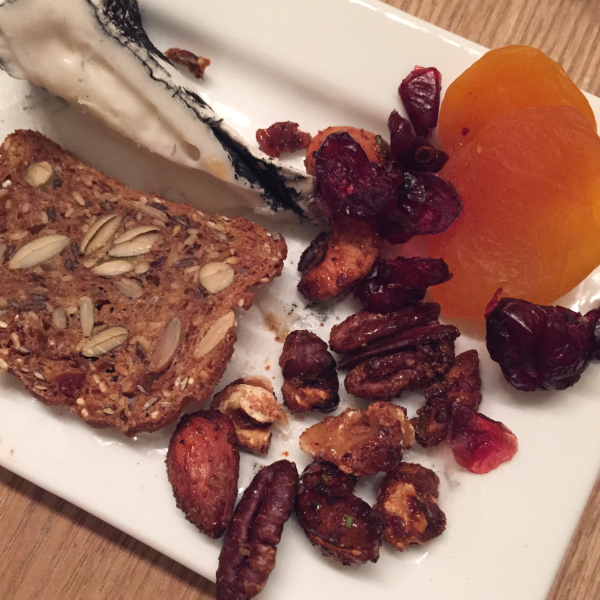 Some of my fave crackers are Lesley Stowe’s Raincoast Oat Crisps…I love the texture, full of seeds and dried fruit and they pair so well with cheese. A few other tasty additions would be prosciutto, pesto, grapes (of course! ), olives, and honey. 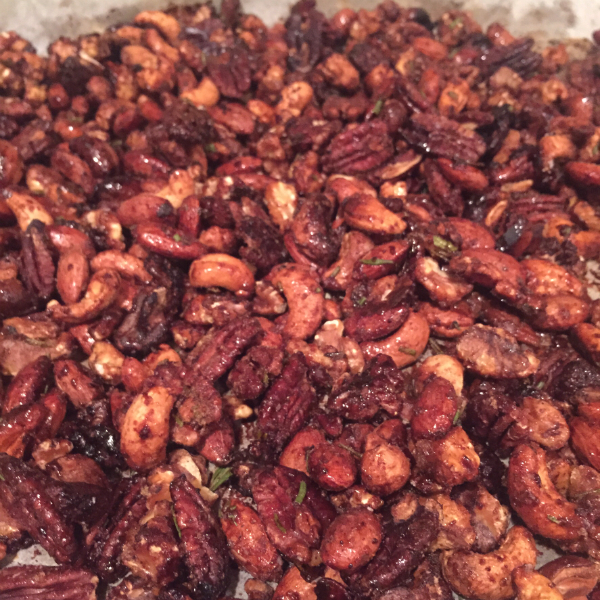 If you don’t have time to make spiced nuts, roasted almonds and walnuts are great too. This is such an easy and simple starter to put together. 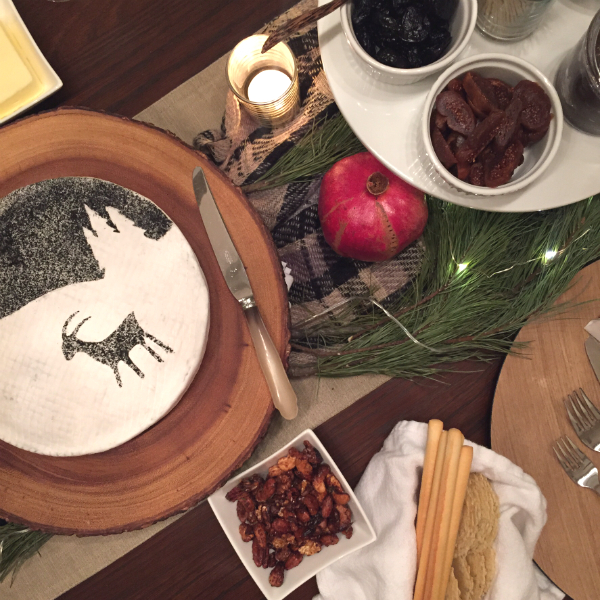 Start your Christmas dinner with a cheese course, or have this set out for Christmas Eve or for a New Year’s party paired with wine or champagne. Easy and simple are the name of the game at this time of year, especially when you are tight on time but you don’t want to sacrifice quality and flavor.